Collision repairers starting their own company, trying to grow revenues or just wrestling with a tough business decision shouldn’t overlook a resource provided by local colleges and agencies. The Small Business Development Center network — a program partially funded by the Small Business Administration — offers free consulting and inexpensive training across the country. There’s probably one tied to your region. Search for one here or learn more about them here. According to the SBA, the entities can help prospective and existing business owners help on topics like market research and business plans, manufacturing, importing and exporting, contracting and purchasing, loans, disaster recovery and the 8(a) program. 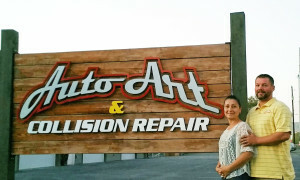 Their potential value was illustrated with the Washington State University-affiliated Washington Small Business Development Center’s assistance to Auto Art & Collision Repair. Auto Art successfully obtained a loan for a better location — their old shop had been obscured and on a side street — thanks to the organization, WSU wrote in an Oct. 5 news release. Those wanting more collision repair business advice should check out “Understanding Numbers and What They Tell You About Your Growth Opportunities” with John Niechwiadowicz of QLC, “The Lean Office – Organizing the Shop Office for Maximum Efficiency” with Judy Lynch of Sherwin-Williams, the “Our Journey to Become a “Successful” Collision Center” panel with Craig Seelinger of BASF, “Optimizing Your Shop Sales Mix” with Charlie Whitaker of Valspar and “Business Financials: Balance Sheets, Income Statements and Cash Flow” with Mike Anderson of CollisionAdvice. The presentations will be at this year’s SEMA Show as part of the Society of Collision Repair Specialists’ Repairer Driven Education series. Register here; series passes are available. Auto Art had three times unsuccessfully sought a loan to buy an existing shop. After meeting with Linda Johnson of the Yakima, Wash.-based branch of the center, owners Irma and Mike Philp learned to refine their applications to satisfy lenders. “Linda was able to tell us, ‘This is where you need to be,’” Irma said, according to WSU. Johnson also inspired the Philps to build their own shop with the money after existing locations proved unacceptable. “Mike and I just looked at each other,” Irma said, WSU reported. With help from Evergreen Business Capital, the couple received an SBA loan in 2013. Their new facility is 5,000 square foot and located at the corner of a four-way stop. It’s given the Philps a 34 percent revenue increase — they’d only estimated a 20 percent gain — and they’ve added an extra employee and will hire two others. The company might even grow another 2,000 square feet. “The SBA loan for new construction catapulted their incremental progress into a huge leap, and borrowing that kind of money was scary, Irma said,” the news release by Hope Belli Tinney observed. Correction: An earlier version of this article misidentified Mike Philp.